La Toxa is a small island, located off the shores of Galicia’s bay known as ‘Rias Baias’. 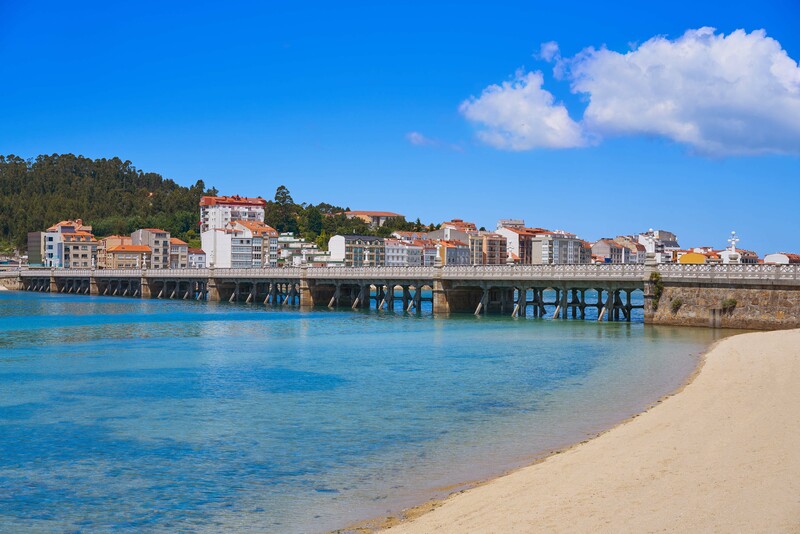 Despite its small size and being just a short distance of approximately 200 metres from the shores of the Rias Baias, La Toxa is a popular place to visit among tourists. A large proportion of the island is protected from development, meaning only a small part of La Toxa is home to houses, apartments, a shopping complex, golf course and other buildings. One striking building on the island is its tiny church. The façade of this intriguing church is covered entirely in scallop shells. This fascinating little church is devoted to the Saint of Caralampio and the Virgin Carmen. During the 19th century, Galicians made a discovery that the mud and thermal water on La Toxa possessed medicinal properties. The legend goes that the healing properties of the island were discovered by a local who abandoned his donkey because it had problems with its fur. Later, when the owner sighted his donkey again, its fur was in perfect condition; this revelation was pinned on the healing powers of the mud and thermal waters on La Toxa. Consequently, a health resort was built on the island in 1840, which played a pivotal role in generating tourism on La Toxa. In 1940, a bridge was built connecting mainland Galicia with La Toxa. At the time, the bridge was the longest in Europe. La Toxa’s beach overlooks mainland Galicia and is a beautiful spot to lay down your towel for the day at enjoy the scenic vista that surrounds this pretty island and the warm, sunny climate Galicia is home to for much of the year.